Interdisciplinary rehabilitation and intervention in survivors of childhood CNS tumours. Clinical presentation, diagnostic pitfalls, management and complications of acute bacterial intracranial infections, acute and chronic viral disease and the zoonoses which affect the central nervous system. Pozvánka s detailními informacemi v angličtině zde. Přihlašovací formulář v angličtině zde. Poplatky a ubytování je nutno uhradit do 28.9.2012. Paroxysmal episodes: the seizure, involuntary movement and primary headache disorders; the child with illness behaviour (including psychogenic seizures). Bernhard Schmitt – University Children’s Hospital, Zurich. Full details of venue, program, criteria for attending, costs and bursaries here. Please send registration form to info@cnsbh.ba. The child with developmental impairment: language disorders, autism, epilepsy and developmental impairment; behaviour disorders; ADHD; the child who is losing skills. Termín uzávěrky přihlášek je 31.1.2013. 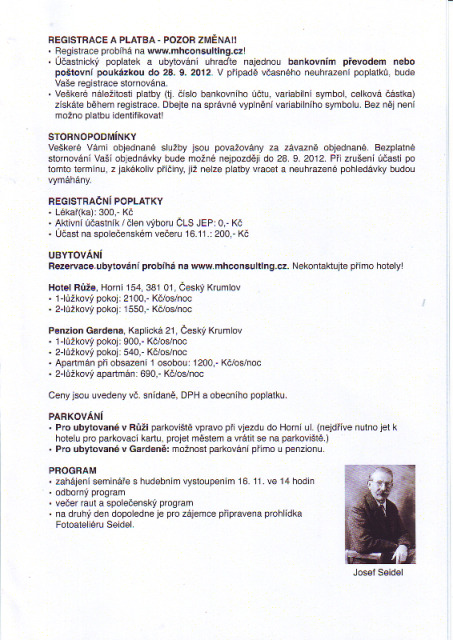 Vedoucí semináře: Gihan Tennekoon, M.D., Barbara Plecko, M.D. Faculty: Luca Ramenghi, Genova. Dennis Azzopardi, London. Barbara Plecko, Zurich. Zulejha Merhemic, Sarajevo. Richard Newton, Manchester. Course 2 Neuromuscular Disease Wednesday/Thursday 21/22 May 2014. Faculty: Imelda Hughes, Manchester. Anne-Marie Childs, Leeds. Rahul Phadke, London. Nina Barisic, Zagreb. The course fees will remain the same as last year, and bursaries will be available on the same basis. Registration now available – please look out for a further announcement by email in the next few days. I am pleased to attach a copy of the programme and registration form in relation to the Neurosciences Symposium Modern Neurogenetics: unravelling mechanisms and guiding management which will be taking place in Glasgow, United Kingdom on 15 May 2015. Místo konání: Lékařský dům, Praha 2, Sokolská 31. The 12th European Congress on Epileptology (ECE) will take place in Prague, Czech Republic from 11th to 15th September 2016. Témata dětské paliativní péče budou uchopena ze tří pohledů: organizačně-finančního, zdravotního a psychospirituálního. The European Paediatric Neurology Society (EPNS) is a society for physicians with a research or clinical interest in Paediatric Neurology. It is a thriving and growing society which continues to play an important role in and beyond Europe by promoting training, clinical care and scientific research in the field of Paediatric Neurology. 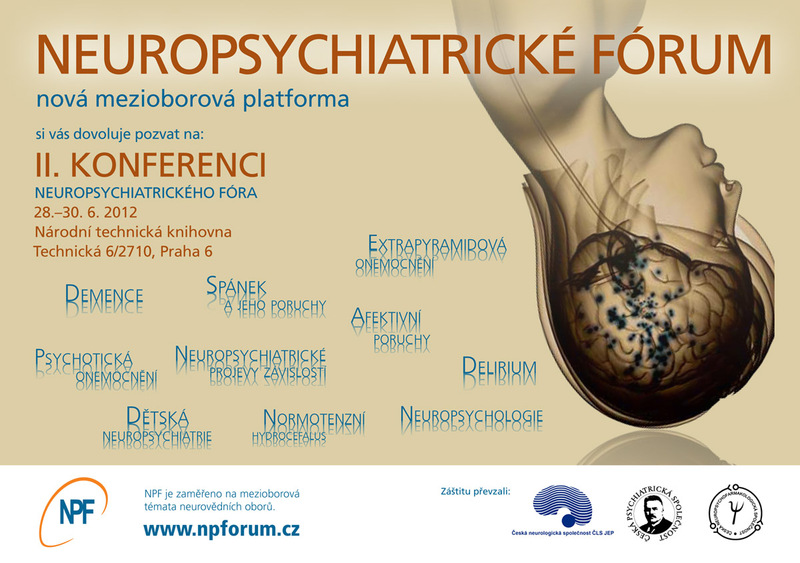 Konference zaměřená na pacienty s DMO v dospělém věku - pediatricko-neurologicko-ortopedicko-rehabilitační péče. Místo konání: malá levá posluchárna 2. lékařské fakulty Univerzity Karlovy.